The month of February is the month of falling in love, the time we show our special or loveones how much we care for them. This is the month where we spend our days talking about the season of love. But how do you know about the season of loves' color? In my previous post, I mentioned about Red in a Psychological aspect and how it affects us. 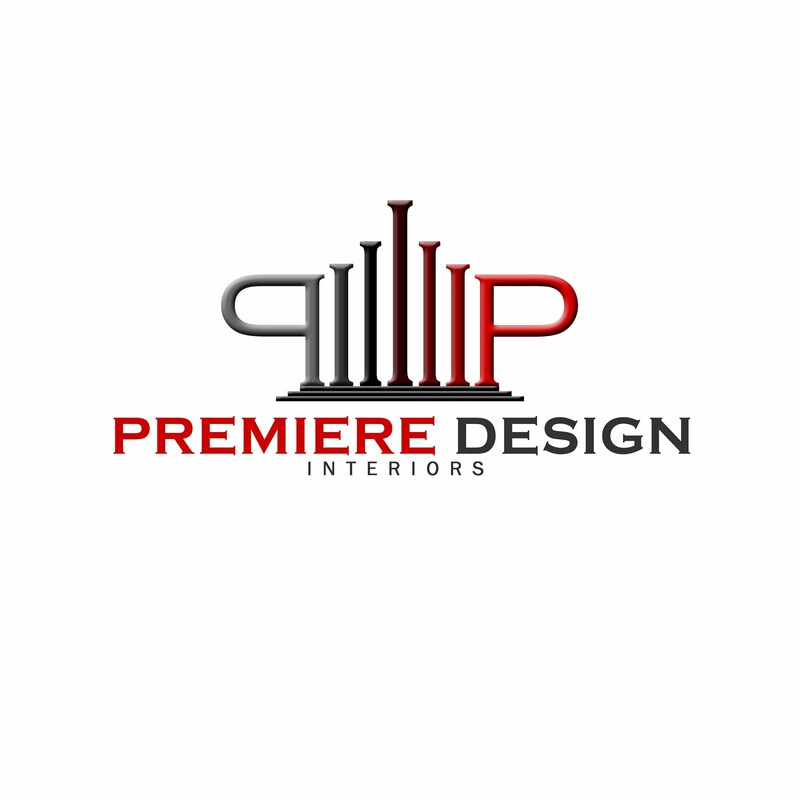 This time, We are talking about Red Color Personality type. 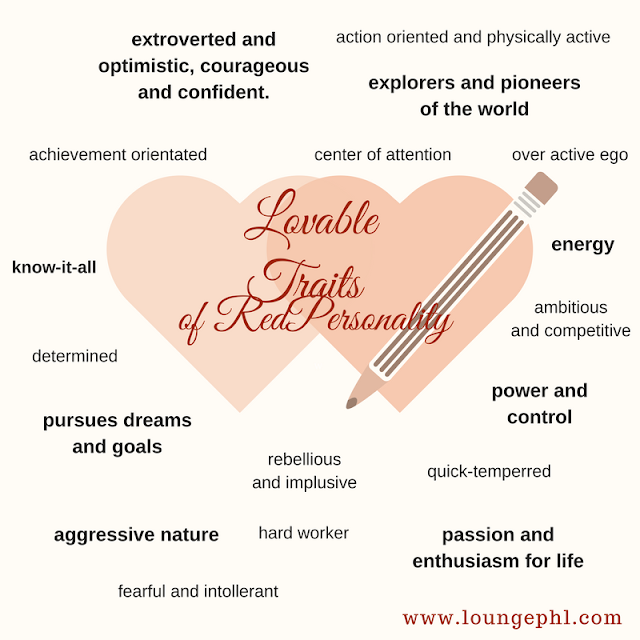 Red Personalities are said to be extroverted, optimistic, courageous and confident. They find it easy to be with people and find themselves in a situation that can be challenging to them. They are action oriented and physically active; for them time is gold and tends to work what the duty calls for. They enjoy to be the center of attention and believes that being on top means a lot to them; in which reflects them being achievement oriented people the downside is they have an over active ego that its hard for them to have themselves back on track. Their energy is spontaneous; which can be seen in their actions in determination to achieve their dreams that reflects to themselves as ambitious and competitive and knows-it-all personality can be disliked. They are hard worker that complements their aggressive nature to pursue their dreams and goals. They don't give time of being fearful and intolerant even towards themselves; which they are good to hide. 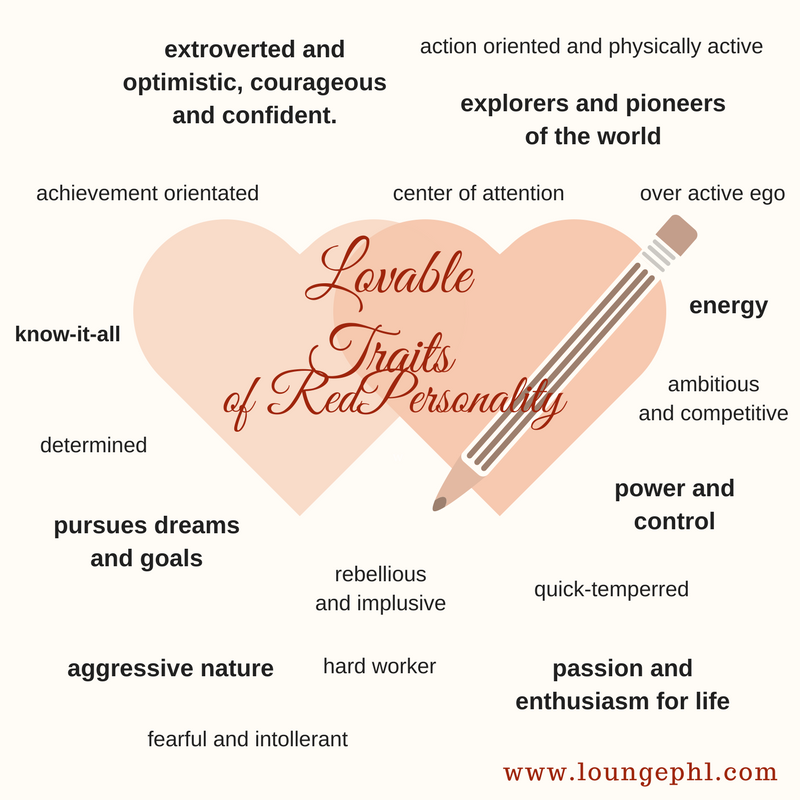 They can be rebellious and impulsive and when they are being overly dominant their over active ego and quick tempered personality shows up despite is surprising personality its because of they don't allow themselves to loose the passion and and enthusiasm they have in life. Is red your personal favorite? I'm sure that most of the words mentioned in this post would best describe you, as it had describe me almost perfect. Catch my next color of the month.